I’ll get straight to the point. 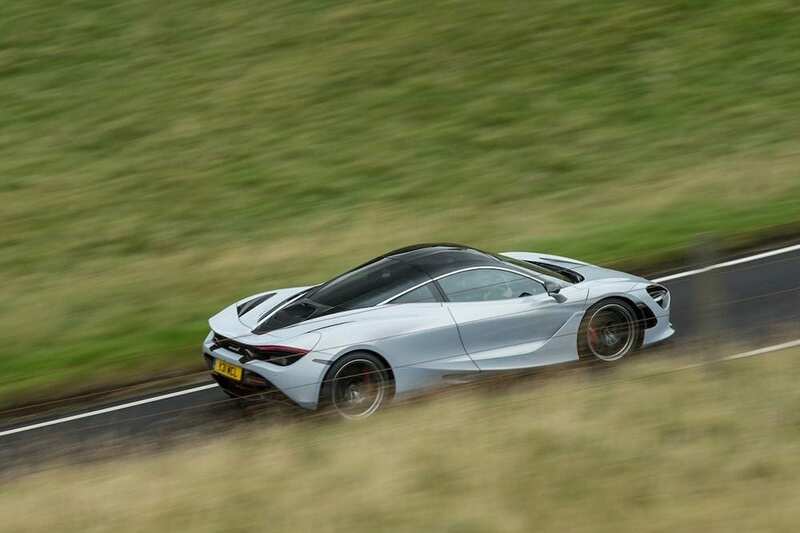 Having recently ‘had a go’ I can confirm that the McLaren 720S, launched at the Geneva show earlier this year, is a stupendously, staggeringly, mind-bendingly quick car. 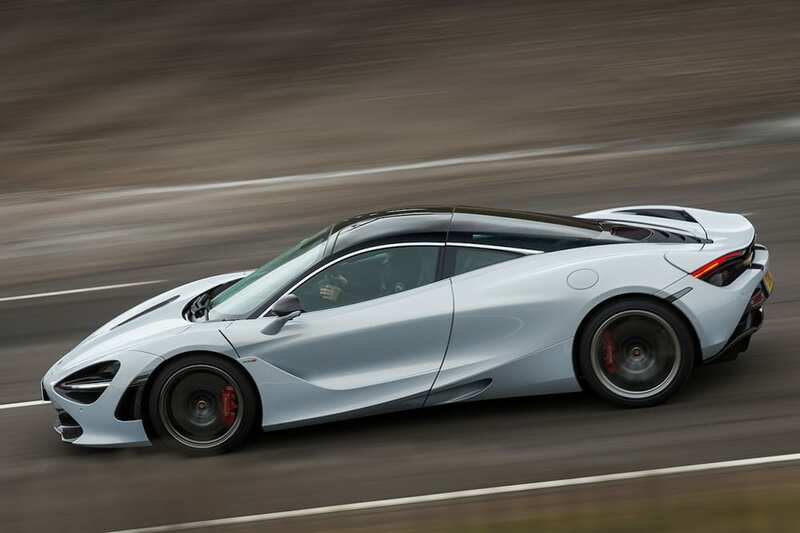 You see, although this is perhaps a grossly over-simplified equivalence, the 720S is essentially a P1 hypercar without the P1’s electric motor, at least in terms of straight-line performance. On its own the P1’s 3,799cc twin-turbo petrol V8 makes 737PS with 720Nm of torque. The 720S’s new and slightly larger 3,994cc twin-turbo petrol V8 makes just 17 fewer horsepowers but with 50 more Newton metres. 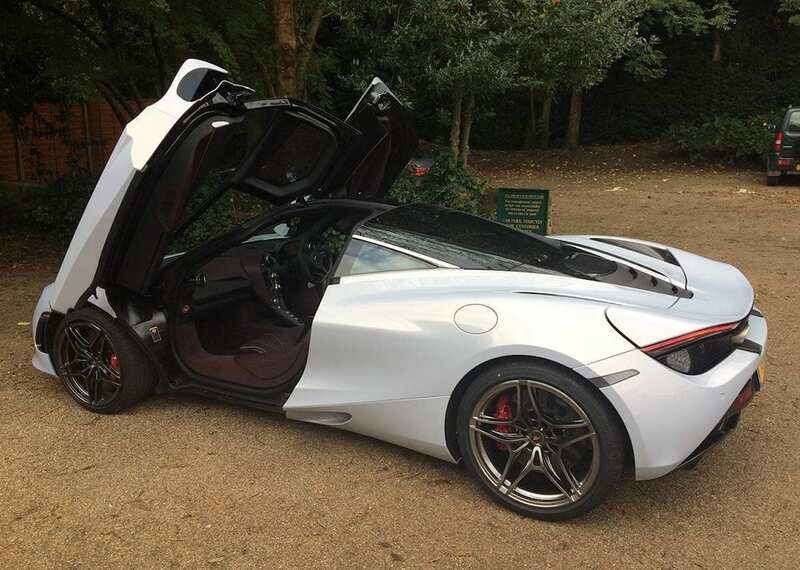 Furthermore, the 720S carries about 112kgs less weight. Sure, with its full 916PS of hybrid power, the P1 is the more powerful and ultimately the faster car, but unless you’re about to give it all down Circuit Paul Ricard’s 1.8km Mistral Straight, then the difference in straight-line speed between these Super Series and Ultimate Series McLarens is pretty academic. I’ve not driven a P1, or indeed either of the other two cars that comprise the Holy Trinity, or indeed a Veyron or Chiron, but I have piloted some damn fast machinery and, following my brief 720S experience, I’m left with the firm impression that it is now as fast or faster than anything I’ve ever driven or ridden, including ballistic missiles like the Kawasaki ZZ-R1400. 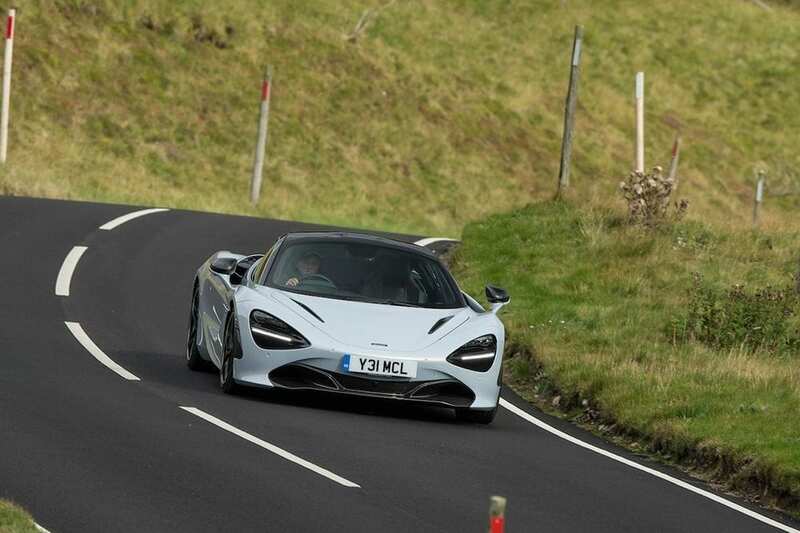 I should add that I only drove the 720S on A and B roads – UK public roads – so I’m not going to elaborate on its relentless acceleration, its instant throttle response, its lightning-quick gear-changing and its superbike-like overtaking ability. You’ll just have to take my word for it. Like its Sports Series 570S stablemate, the 720S is a doddle to drive at low speed – as easy as any city car. In traffic or in town it’ll happily burble along without a trace of the temperamentality you might expect of a 212mph rocketship, and despite its 1,196mm (46-inch) height, visibility from the cabin isn’t an issue. It could easily be your daily driver. 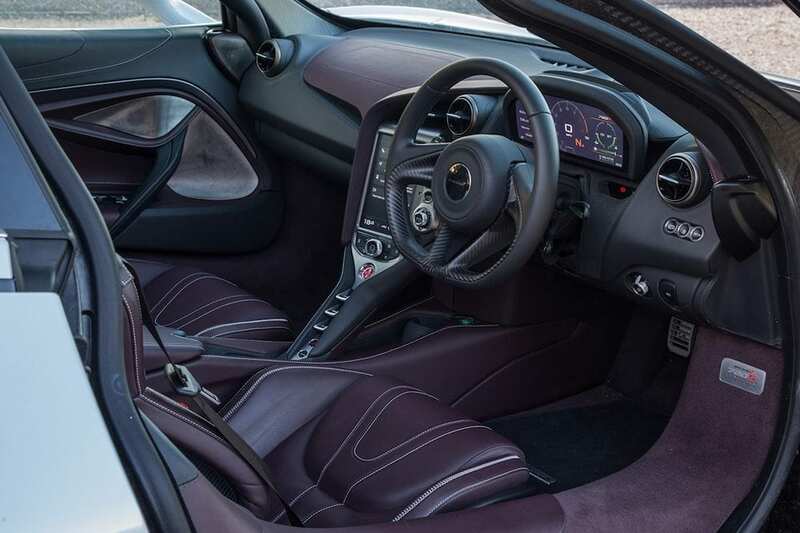 For a mid-engined supercar, cabin space is impressive. 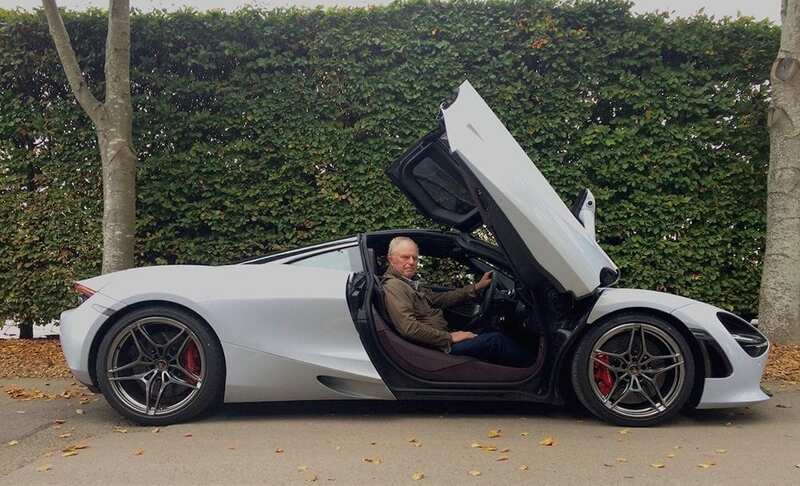 Getting in and out is relatively easy, and there’s head and legroom aplenty, although the optional ‘Gorilla Glass’ panels in the door uppers (£2,220) probably account for an extra inch or so of headroom. The electric & heated memory seats (£2,730) with carbon fibre seat backs (£3,180) aren’t deeply padded, but being well-contoured and adjustable they’re properly comfy and should remain so even on a long drive. In addition to the 150-litre boot there’s sufficient space behind the seats for a jacket and as soft bag or two. In my test car’s Luxury spec much of the interior was leather upholstered and beautifully finished, while the overall ambience is befitting of a £212k car (plus over £25k’s worth of interior options in this case). However, those powered seats are the cause of my only gripe. The many buttons controlling the seat operations are tightly spaced and located completely out of sight on the side of the seat cushion frame beneath your thigh. Without a diagram to go by it took me ages to perform the simplest task, and even then it was more by luck than judgement. It’s almost as if McLaren’s designers looked at how all the other manufacturers arranged their seat adjustment buttons, and then decided to do it differently. Just for the hell of it. Conversely, the satnav system that proved so unintuitive and hopeless on the 570S I drove last year is all-new in the 720S, and it’s so much better. Which only leaves me to comment, purely subjectively, on the 720S’ styling, and I reckon it’s comfortably the best-looking McLaren Automotive model to date. I’m not bowled over by the nose section with its curvy, triangular lighting/air duct recesses, but the rest of it is sublime. As aesthetically pleasing as a 488 GTB? Yes, and then some. As achingly pretty as a Huracan? Not in my opinion. Would I just love to take a 720S on a mindbending continental road trip? You betcha, but I really would have to watch my speed.